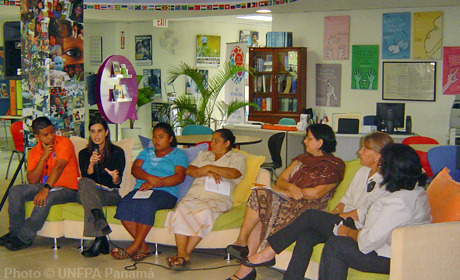 Active in Panama since 1975, UNFPA helps to reduce disparities in access to sexual and reproductive health services in this ethnically diverse country. Its programmes reach out to the Ngäbe-Buglé indigenous people, where maternal mortality is five times higher than the national average, including through better training for health care providers. Other assistances goes towards increasing education and services for youth, and bolstering care and prevention measures to reduce gender-based violence.